Nearly four years after being arrested, Amanda Knox is cleared of the sexual assault and murder of her former friend and flat mate, Meredith Kercher. Knox and then-boyfriend, Raffaele Sollecito, were convicted in December 2009 to sentences of at least 25 years each. Rudy Guede, previously charged criminal of drug trafficking and theft, was convicted separately of involvement in the killing and is serving 16 years. His relationship to both Knox and Kercher is unknown. The Italian Courts shocked almost all awaiting results around the globe by overturning the original conviction. Two key arguments on evidence involved the suggestive murder weapon, and DNA testing done at the crime scene. A knife found in Sollecito’s house contained both Knox’s DNA on the handle, and the victim’s, Kercher, on the blade. 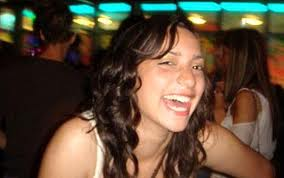 Defense argued that the shape and size of the wounds on Kercher, nor the outline of a knife found on her bed, matched the one confiscated from Sollecito’s apartment. A separated clasp from the bra of the victim was found to have Sollecito’s DNA on it as well. However, the clasp is essentially disregarded as evidence because it had been moved around the crime scene and not picked up as evidence for more than six weeks. More key arguments on evidence involved Knox’s earlier confession to Italian authorities, and their methods of investigation. Her confession to hearing Kercher screaming, and also to blaming early suspect Patrick Lumumba were agreed as null. Lumumba was later proven innocent and then sued Knox for Defamation. Knox’s confessions were based off of a brutal questioning by Italian authorities. She was asked what she believed would have happened had she been there, in Italian, without attorney or translator. Italian authorities were also criticized for not wearing gloves or hair coverings, prodding Kercher’s wounds, and leaving key pieces of evidence at the crime scene, all caught on tape. Both bloody foot and shoe prints were found at the crime scene, and were said to belong to Sollecito. The defense focused on Sollecito’s hammertoe to disprove the footprint belonging to him, but rather to Guede. In regards to the shoeprint, authorities found shoeboxes belonging to Guede that contained shoes that could match the print. They argued for a re-examination and coroner/forensic specialist testified saying he believed it was incorrectly attributed to Sollecito. Many people were shocked and angered by the ruling, protesting outside the courts. Some even followed the van releasing Knox from prison, screaming their protests. Others were relieved or overjoyed at the ruling, cheering for Knox and arguing that it was the media’s coverage of the story that lead to an unjust conviction in the first trial.